Notes: The colour of the disc is pitch black with no title information on it beside basic copyright information. The sleeve also incorrectly identifies the first track of the single as being the album version, however it is not the album version, as it edits out the first 24 seconds of the song that is found on the album. This error is the same across all versions of the single. Notes: For the European release the tracklist from the UK single CD release was split evenly between two discs, presumably to allow for singles chart eligibility in European countries. The colour of the disc is pitch black with no title information on it beside basic copyright information. 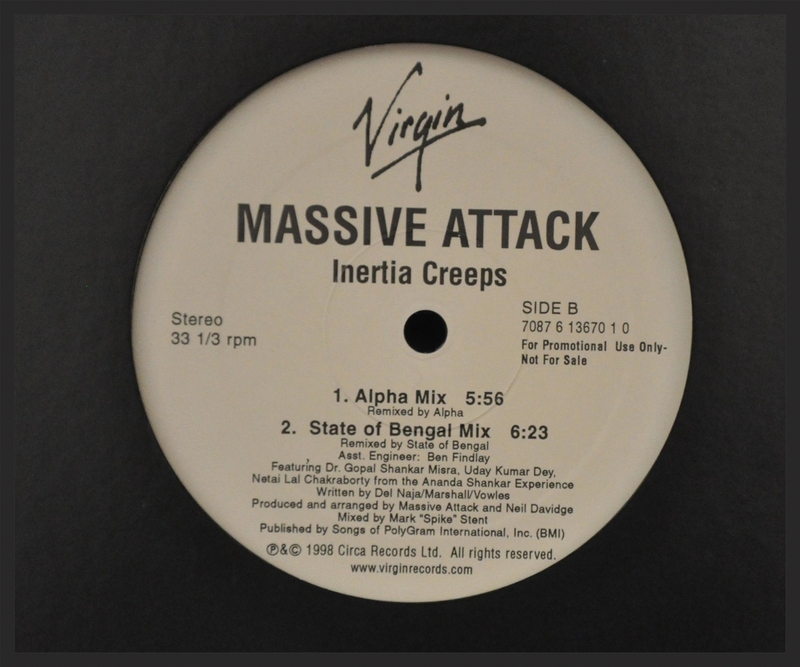 Notes: This release is identical to the European Part 1 single release (even having the same catalogue number) but was manufactured and sold in Australia. The colour of the disc is pitch black with no title information on it beside basic copyright information. Notes: The colour of the disc is bright orange with no title information on it beside basic copyright information. Notes: This videotape promo was issued by West 1 Television as a VHS tape using the PAL format. 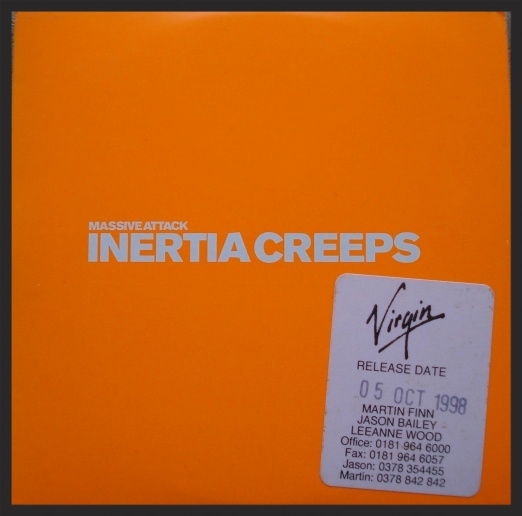 Of interest is the promo video of Inertia Creeps is listed as being the 'Nightime Version'. It was refered to as this in other promo materials at the time. Notes: There is a catalogue number discrepancy on this release between the sleeve and the vinyl disc. The catalogue number above is of the sleeve. Notes: Sides A and B are identical. Notes: There were two other very similar USA promo vinyl releases just like this one, which were Karmacoma and Teardrop.